The student will earn a Bachelor of Sciences degree from CALS at the end of their fourth year. The College of Veterinary Medicine may accept students who are then permitted to double-register in their seventh and/or eighth semester and complete requirements for the bachelor of science degree in the College of Agriculture and Life Sciences. Students should submit an application online through Chatter to update their degree plan with their intentions of enrolling in a dual degree program. The most up to date information can be found directly through the Johnson at Cornell website. Students should submit an application online through Chatter to update their degree plan with their intentions of enrolling in a dual degree program. The Department of Landscape Architecture offers a professional degree curriculum in landscape architecture at both undergraduate (BSLA) and graduate levels (MLA). The curricula for both the undergraduate and graduate programs are accredited by the Landscape Architecture Accreditation Board. The Concurrent Degree Program enables exceptional undergraduate students to pursue programs of study in two colleges. Concurrent degree candidates may earn two distinct and independent degrees from both colleges and must satisfy all requirements for both degrees. For further information contact CALS Undergraduate Admissions and visit the website of the Office of Internal Transfers and Concurrent Degrees. A multitude of opportunities to be engaged in research exist across the College of Agriculture and Life Sciences and the university. Students may be able to work on a faculty member’s research project for pay. Opportunities can be explored by contacting individual faculty members or departmental offices. Another option is for students to receive credit through a 4990-level course within a department by conducting their own research project under a faculty mentor. Hundreds of students each year conduct research for credit. Upper-class students usually have the course background to engage in research, but freshmen and sophomores also may be equipped to do some types of research. Off-campus research experiences are also available for pay or as internships. The Research Honors Program provides students with a special opportunity to work with a faculty mentor to experience the research process. The Bachelor of Science degree with “distinction in research” is conferred upon those students who, in addition to having completed the requirements for the B.S. degree, have satisfactorily completed the honors program and have been recommended for the degree by the honors committee. Research may be done in these program areas: animal sciences, biological sciences, biology & society, entomology, environmental and sustainability sciences, information science, landscape studies, nutritional sciences, physical sciences, plant science, and social sciences. Students in any CALS major may be eligible to participate in any of these program areas. Each program area has its own requirements in addition to the college requirements. After reviewing the requirements of each program area (below), students’ questions may be directed toward the appropriate program area chair. Consult “Undergraduate Research Opportunities” on the web (cals.cornell.edu/cals/current/student-research/undergrad) for information about identifying a research topic, conferring with a faculty member, and undergraduate funding opportunities. Interested students must submit a written application and thesis proposal early in the first semester of their senior year; however, they are encouraged to make arrangements and discuss research ideas with a faculty member during the second semester of their junior year. Students are required to submit applications and thesis proposals to the appropriate office in accordance with their program area procedures and deadlines. Knowing the deadlines and submission procedures for a particular program area is the student’s responsibility. Students of all other programs can find application forms at the CALS Registrar in 140 Roberts Hall or online. In addition to a presentation, successful completion of the honors program requires a research report, written in the style of a master’s thesis or scholarly journal article. Students may volunteer to publish their original honors research at eCommons Cornell University Library, as long as doing so does not interfere with other plans, such as patenting or publishing in a professional journal. A permission form to allow a thesis to be made available online at Mann Library can be obtained from the honors committee chair. Thesis examples are available on the web at ecommons.library.cornell.edu/handle/1813/2936/simple-search; each program area chair may also be able to provide relevant examples. Unless otherwise indicated within individual program area descriptions, theses should be submitted to the research program committee no later than four weeks before the end of classes during the semester in which the student expects to graduate. Students in the College of Agriculture and Life Sciences wishing to participate in the Research Honors Program are not eligible for “distinction in research” by participating in a program offered by another college or administrative unit. For more information, go to www.cals.cornell.edu/cals/current/student-research/honors. The objective of the animal sciences research honors program is to provide outstanding undergraduates with the opportunity to pursue supervised independent research and to develop an awareness of the scientific process. It is expected that the research will require significant effort and creative input by the student in its design and execution and in the reporting of the results. Identify a potential research honors project sponsor (i.e., a faculty member at Cornell working in the animal sciences) and secure that faculty member’s commitment to sponsor the student in the research project. This should be accomplished by the second semester of the junior year or earlier. Students are encouraged to implement some research during the junior year and/or summer before the senior year. Enroll in the Honors Program using the CALS application form within the first 6 weeks of the fall semester, senior year. Register for ANSC 4990 - Undergraduate Research in Animal Science . Participate in ANSC 4020 - Seminar in Animal Sciences during the spring semester and report on and discuss the project and results. Submit a written thesis to the Animal Sciences Research Honors Committee by the scheduled deadline (mid-April for May graduates). Specific information regarding deadlines, format, and organization for the thesis will be provided. Meet with the Animal Sciences Research Honors Committee for a short oral defense of the thesis following a review of the thesis by the student’s mentor and the research committee. Submit to the honors committee chair an electronic copy of the final approved thesis (in pdf or Word format) as well as a bound copy of the thesis. Students may volunteer to publish their original honors research at eCommons Cornell University Library, as long as doing so does not interfere with other plans, such as patenting or publishing in a professional journal. A permission form to allow a thesis to be made available online at Mann Library can be obtained from the honors committee chair. Details pertaining to the specific requirements of the program can be obtained from Dr. Quirk, Department of Animal Science, 434 Morrison Hall. Students interested in the Research Honors Program in the Biological Sciences should consult with their faculty advisors and with potential faculty research mentors early in their junior year. See “Independent Research and Honors Program ” in the Biological Sciences section of this catalog for complete details. Information on faculty research, applications, and program requirements may be obtained from the Office of Undergraduate Biology, 216 Stimson Hall, or at biology.cornell.edu/research/honors. The Research Honors Program in Biology & Society is designed to provide independent research opportunities for academically talented undergraduate students in Biology & Society. Students who enroll in this program are expected, with faculty guidance, to do independent study and research dealing with issues in biology and society. Students participating in the program should find the experience intellectually stimulating and rewarding whether or not they intend to pursue a research career. Biology & Society students are considered for entry into the research honors program at the end of the second semester of the junior year. Application forms for the program are available in the Biology & Society office, 306 Rockefeller Hall. To qualify for the Biology & Society Research Honors Program, a student must have an overall Cornell cumulative GPA of at least 3.3, have formulated a research topic, and have found a project supervisor (with a Cornell academic appointment) and another faculty member willing to serve as their advisor. At least one of these must be a member of the Biology & Society major. Applications will be reviewed by a committee headed by the director of undergraduate studies, who will notify students directly of the outcome. Students will be permitted to register for the honors program only by permission of the department. Students must enroll for both the fall and spring semesters. They must attend the honors seminar during the fall semester. More information on the honors program is available in the Biology & Society office, 306 Rockefeller Hall, (607) 255-6047. Important Deadlines. Note: If the following dates fall on a weekend, the deadline is the preceding Friday. Last week of second semester of the junior year: Application for honors program submitted to 306 Rockefeller Hall. April 8: Thesis completed in a form satisfactory for evaluation and submitted to the three readers. April 22: Thesis defense accomplished. May 6: One bound copy of completed and defended thesis submitted to the Undergraduate Coordinator in 306 Rockefeller Hall. The Program. A research honors program in entomology may be pursued by any qualified student in the College of Agriculture and Life Sciences. The student need not be majoring in entomology. Insects, because of their variety, small size, and easy availability, are convenient subjects for studying a wide array of problems in living systems. Short life cycles, unique physiologies and developmental patterns, and species with easily managed husbandry requirements and a wide range of behavioral traits provide the raw material for research honors study. Cornell’s diverse faculty interests and extensive collections and library in entomology are also major assets if a student selects entomology as the area for research honors study. Research honors students have the option of earning academic credit by enrolling in ENTOM 4970 - Individual Study in Entomology or ENTOM 4990 - Undergraduate Research in Entomology during any semester while working toward a research honors thesis. Credits and grade option for satisfying requirements of the course should be discussed with the thesis advisor (below). Note: Enrolling in an independent study course, either ENTOM 4970 or ENTOM 4990 , is not a requirement for graduating with distinction in research honors in entomology. Discuss the matter with his or her academic advisor, preferably in the junior year. This schedule makes it possible to carefully plan a research project and implement some research during the junior year and/or summer before the senior year. Select an appropriate faculty member in the Department of Entomology who can serve as a supervisor to oversee the honors research. This need not be the student’s academic advisor. The academic advisor will be of assistance in determining which faculty member has expertise most compatible with the interests of the student. Discuss and develop a project with the honors project supervisor, ultimately resulting in a brief written plan. The plan should include a statement of objectives or hypotheses, proposed methods for testing the hypotheses and needs for laboratory space or shared equipment. Submit a completed application and proposal approved by the honors project supervisor to the Chair of the Entomology Research Honors Committee no later than the end of the fifth week of the first semester of the senior year. Earlier submission is encouraged. Applications are available from the CALS registrar, 140 Roberts Hall. Submit a brief progress report, approved by the project supervisor, to the Chair of the Entomology Research Honors Committee by midterm of the semester in which the student will complete his or her graduation requirements. Present a formal seminar reporting the significant findings of the research to the Department of Entomology (as a Jugatae seminar) in the last semester of the senior year. Submit two copies, one electronic and one printed, of the final honors thesis (as approved by the thesis supervisor) to the Chair of the Entomology Research Honors Committee no later than two weeks before the last day of classes in the semester in which the student anticipates graduation. The thesis will be reviewed by the faculty honors project supervisor and at least one other referee selected by the chair of the honors committee. Referees will return the thesis to the student one week before the last day of classes. If reviewers indicate that changes must be made, the revised thesis should be submitted to the Entomology Research Honors Committee Chair no later than the last day of classes. Referees should include a recommendation to the Entomology Research Honors Committee Chair regarding acceptability of the honors thesis. The approved honors theses will be bound and housed in the Entomology Library in Comstock Hall. The research honors program in environmental and sustainability sciences involves original, independent research that generates novel findings. Students learn how to design and carry out research under the direct supervision and guidance of a faculty member or research associate (thesis advisor). Most students in the program engage in research for multiple years to learn the iterative nature of research. Students should meet on a regular basis with their thesis advisor whose responsibility it is to guide and approve the thesis work. The research findings are presented in a written thesis. Although the format is not prescribed, the thesis usually consists of a short introduction, relevant materials and methods, a concise presentation of the meaningful data, a discussion, and the student’s interpretation of the conclusions. Students also will present the findings of their research, either orally or via a poster, in a special symposium in late May. Students should adhere to the following schedule. Identify a thesis advisor and research topic. File an informal application with the faculty director. The application includes i) a short description of the research and ii) advisor information. NTRES or ESS 4990 - Undergraduate Research can be added (in consultation with your research advisor) to receive credit for research work done in fall and/or spring. Registration is done using CALS Special Studies form available online. April 15: Submit one copy of the thesis to the thesis advisor and the faculty director. The faculty director will arrange for a review of the thesis by a faculty reader. May 4: Pick up faculty reader comments from the faculty director. May 15: Submit two copies of the final thesis: one for the college, one for the program director. Friday before Graduation: Participate in and present the findings of their research, either orally or via a poster, in an event for parents, faculty, and peers. Students should follow the CALS social sciences guidelines to obtain research honors in information science. The research honors program in landscape studies offers outstanding undergraduates in CALS the opportunity to work with a member of the landscape architecture faculty to pursue supervised independent research in the cultural landscape, landscape archeology, environmental design resilience, community-based design and other design topics. The subject matter and nature of the research experience may be quite varied. Students participating should find the experience intellectually stimulating and rewarding, whether or not they intend to pursue a research career. The guidance and supervision of a faculty member with substantial interest and expertise in the subject is essential to the success of the research honors project. It is expected that the research will require significant effort and creative input by the student in its design and execution and in reporting the results. Students who consider this option should be aware that honors research is undertaken above and beyond all requirements for graduation in the major of landscape architecture. It involves a number of deadlines and a considerable time commitment. Before signing on for research honors, students need to consult with their academic advisor to make sure that honors research projects will not interfere with other academic or professional objectives such as job applications, preparation of portfolios or application to graduate school as these may need to be deferred until the thesis is complete. Students are responsible for meeting deadlines and being prepared for presentations and other meetings. Although honors research credits for spring semester junior year and both semesters senior year are designated a letter grade, individual mentors may choose the R grade for work in progress until the project has been fully completed. Grade is determined by each student’s mentor. The designation of “distinction in research” on the diploma is awarded at the recommendation of the faculty advisor and other referees to the honors committee chair. An outline of activities for both years is given below. Junior year: Identify a potential research honors project sponsor and secure that faculty member’s commitment to sponsor the student in the research project. This should be accomplished early in the second semester of the junior year and be finalized by the end of the spring semester. Work with a faculty advisor to identify and formulate a research question or pursuit. If the faculty advisor is not in the Department of Landscape Architecture, select a co-advisor from the department to ensure that the research is consistent with the field. Submit a completed application and proposal (approved by the honors project supervisor and the chair of the research honors committee) no later than the end of the fourth week of the first semester of the senior year. Earlier submissions are encouraged. These will be reviewed by two ad hoc committee members, and successful thesis proposals will be submitted to the college honors committee by the sixth week. Carry out an independent research effort that is original and separate from the work of others who may be investigating similar subjects. Submit an outline of the thesis to the chair of the committee by the end of January for a May graduation. Submit a draft to the readers by April 15. Describe and summarize the work within the range of formats used in the master’s thesis program or professional journals in design or research. This version will be reviewed by the faculty supervisor and two ad hoc reviewers, and the student will be able to incorporate the committee’s comments and suggestions into the final version, which will be due the last day of classes. Referees prepare a recommendation to the honors committee chair regarding the acceptability of the honors thesis. Give one oral presentation to the group of other honors research students and invited faculty members. Both presentations are during the student’s senior year. Send one bound copy of the completed and defended thesis to the honors committee chair by May 13 or another date provided by CALS, whichever is sooner. 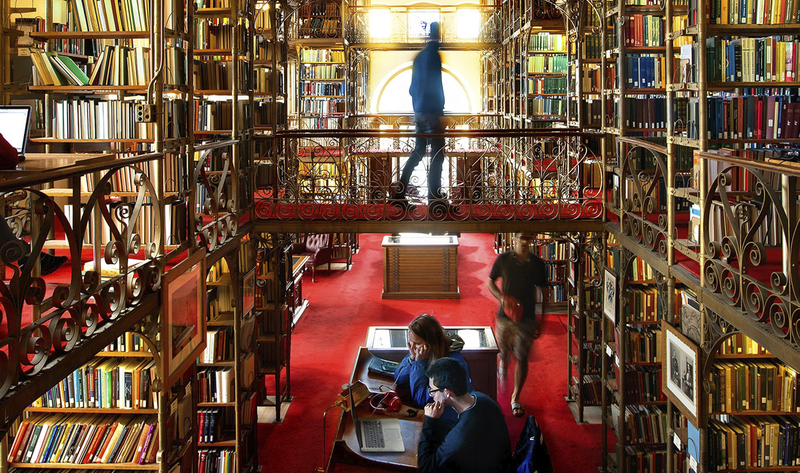 Students may choose to publish their original honors research at eCommons Cornell University Library, as long as doing so does not interfere with other plans, such as patenting or publishing in a professional journal. A permission form to allow a thesis to be made available online at Mann Library can be obtained from the honors committee chair. The Honors Program in the Division of Nutritional Sciences is an excellent opportunity for students who are highly motivated, interested in research, and wish to commit substantial time and intellectual energy to a project that will span about four semesters of their undergraduate tenure. Honors students enjoy the excitement of both participating in a project that generates new knowledge on an interesting topic and reporting their research findings. By working with faculty mentors and other researchers, they develop skills in research methods and data analysis. Students also learn that research projects are labor intensive and that writing research reports, such as the honors thesis, is a vital and time-consuming aspect of the research process. This intensive research experience is not suitable for all students, and those who desire a less intensive research experience may conduct research with a faculty member under NS 4010 . The application procedure for the Honors Program is described briefly below. However, students interested in the DNS Honors Program should review program requirements in detail, because the explanation below does not include some important application details. Students should contact Dr. Julia Felice for important additional information about application procedures. Students interested in the program typically spend the spring sophomore semester and fall junior semester exploring honors project opportunities with prospective faculty mentors. Students are responsible for contacting faculty members and applying to their research programs, although some guidance in this process will be provided in NS 3980 . By the fall of the junior year, the student is expected to have identified his or her faculty member and be working with him or her on a proposal abstract. Applications to the DNS Honors Program are due in early February of a student’s junior year. Interested students should contact Dr. Julia Felice for the application and advisor agreement form. In addition, it is strongly recommended that students take NS 3980 - Research in Human Nutrition and Health—a requirement in the Honors Program—in the fall semester of their sophomore or junior year. The Honors research project, through which students becomes intellectually engaged in the entire research process, is the major component of the honors program. It should be well-defined and sufficiently circumscribed to give students the opportunity to develop a research plan, execute the research, and write an acceptable thesis within the limited time available to students carrying full academic loads. The components of an Honors Thesis and the requirements for submitting them are described briefly below. Typically, an Honors project is designed early in the junior year and conducted in the spring semester of the junior year and fall semester of senior year. Students may also arrange with their faculty mentor to work on the project during the summer. The spring senior semester is usually devoted to writing the thesis (at least 25 pages). Maintain a GPA of at least 3.2. Pass NS 3980 (may not be taken S/U). Fall only. Highly recommended that students take this as early as possible. Complete a minimum of 6 credits of NS 4990 . The six required credits may be taken mostly during senior year (3 credits per semester). Any additional research credits can be obtained under NS 4010 . How much time is spent on the project each semester will be the decision of the student and the faculty mentor. However, a faculty mentor typically assigns one hour of academic credit per 3-4 weekly hours of work. These hours include preparing the research plan and conducting the necessary library research (both of which are usually completed during the junior year) as well as implementing the research itself, conducting necessary analyses, and preparing and writing the honors thesis. Meet all Honors Program requirements and deadlines. These are detailed in the DNS Honors Program document linked above. Complete a written thesis that reports the research. Minimum 25 pages. The student works with the faculty mentor to prepare a draft of the thesis, which is submitted before spring break to a second faculty member for evaluation. When comments are received from the reader, the student must revise the thesis to meet the criteria for acceptance. Give an oral presentation of the project at the undergraduate honors symposium. The symposium is typically held at the beginning of the spring finals period. Students should contact Dr. Julia Felice for important additional information about program deadlines and requirements. The research honors program in physical sciences provides outstanding students with an opportunity to do independent research under the supervision of a faculty member in the Departments of Biological and Environmental Engineering, Food Science, Earth and Atmospheric Sciences, or Biological Statistics and Computational Biology. Identify a thesis advisor and thesis topic before the end of the junior year. Work with the thesis advisor to prepare a budget, short research proposal (2–3 pages), and application form. These materials must be received by the Physical Sciences committee chair by the end of the third week of senior year. Enroll in the program for a minimum of two semesters. Enroll in the appropriate departmental undergraduate research course for a total of at least 6 credits. Submit an outline of the thesis to the chair of the committee by the end of January (for a May graduation). Submit a draft of the thesis to the thesis advisor with sufficient lead-time for a revision to be prepared. Submit three copies of the thesis and names of recommended reviewers to the chair of the honors committee by four weeks before the end of classes in the semester in which graduation is expected. There is no required format, but the thesis is usually written in the form of a research journal article or a master’s thesis. Further details of the program can be obtained from the chair of the Physical Sciences Research Honors Committee. The Research Honors Program in Plant Sciences is designed for students interested to obtain advanced training in laboratory and/or field research through completion of an original research project under the guidance of a faculty member from the School of Integrative Plant Sciences (SIPS). The breadth and diversity of research interests of SIPS faculty provide students a valuable opportunity to engage in basic and applied research to be well-positioned to pursue career goals. Students may also work with faculty in any department at Cornell as long as the research topic deals with Plant Sciences. attend information session for new applicants: For 2017-2018 graduates: August 29, 4:30 pm (Bradfield Hall, 608). Apply for the program at the beginning of senior year. Deadline for Spring 2018 graduates is September 15, 2017. An application form (available at cals.cornell.edu/academics/student-research/honors/). Project description (no more than 1-page, single space, font 12). Project description should include a title, brief project overview with a clear statement of objective(s). Project description has to be signed by the research advisor. Signed Honors Thesis Advisor Agreement (link to Agreement can be found at cals.cornell.edu/academics/student-research/honors/). Honors candidates usually enroll for credit in PLSCI 4990 - Independent Undergraduate Research in Plant Science under the direction of the faculty member acting as Honors supervisor, although the program does not require enrollment for credit. Enroll in PLSCI 4950 and present research findings at the SIPS Senior Symposium (end of the spring semester of the senior year). It is recommended that Plant Sciences Honors graduates present their work at the Cornell Undergraduate Research Board Spring Forum [CURB] usually held in April (courses2.cit.cornell.edu/CURB/]. Submit honors thesis by the scheduled deadline [thesis should be submitted electronically to the committee chair (okv2@cornell.edu)]. Research projects in the social sciences include applied economics and management, communication, development sociology, education, and information science. Students are accepted into the social sciences research honors program of the College of Agriculture and Life Sciences after meeting all the college criteria described above, after evaluation of the student’s written application, and on approval of a detailed thesis proposal. The program provides an excellent opportunity for students to pursue independent study and research under the guidance/mentorship of a faculty member. Previously approved theses covered a wide range of topics and methodologies. A complete list can be found at ecommons.library.cornell.edu/handle/1813/2937. Students must submit one hard copy of the completed application and proposal to the social science program area faculty committee chair no later than the end of the sixth week of the first semester of their senior year (see deadlines below). Late applications will not be considered. Students are strongly encouraged to meet with faculty during their junior year in order to identify someone to serve as their honors thesis advisor. Honors thesis faculty advisors must be members of the graduate faculty. Exceptions may be granted for persons with special expertise pending petition to the committee. Working with their honors thesis advisor, students should begin developing their thesis proposal during the second semester of their junior year. The purpose of the proposal is twofold. First, it formalizes a plan of study and establishes a set of expectations between the student and the faculty advisor. Second, the honors committee reviews the proposal to determine whether it is consistent with honors thesis requirements and to make suggestions for improvement. Students accepted into the honors program may register for credit directed by the honors thesis faculty advisor (e.g., AEM 4990 , COMM 4990 , DSOC 4990 , EDUC 4990 ). Honors theses should be written according to the form of any standard journal within the appropriate field. Distinction in research is awarded upon approval of the research honors thesis by the committee. Both the results of the research and the methodology (or the logical argument by which the results were achieved) must be reported. Reviews of the literature, practical conclusions or applications, or broad characterizations of an area of inquiry may constitute part of the research report but are not themselves sufficient as research. The committee recommends the submission of the thesis draft to the research advisor two months before graduation to permit sufficient time for revision. One electronic copy of the final thesis (in pdf or Word format) should be sent by email to the Social Sciences program area faculty committee chair no later than the due date. A supporting letter from the faculty member supervising the work also must be submitted either electronically or as a hard copy. The thesis will be independently reviewed typically by two faculty committee members within about two weeks. If further revisions are required, students will be informed and a revised draft will be requested. Cornell credit may be earned at a CALS Exchange Partner University abroad. recieve approval on the “proposed course of study” from their faculty advisor and the CALS study abroad advisor. run a minimum of 14 weeks for full credit. Cornell Abroad credits are considered non-Cornell credit and count against the sixty (60) maximum transfer credits permitted; credits are limited to 15 credits per semester, 30 per academic year. CALS Exchange credits are considered Cornell credit, not transfer credit; there is a possibility of earning more than 15 credits per semester. Students should consult with the CALS Exchange advisor for specific details. *If you are an external transfer and studied abroad while at your former university, or an incoming first-year student who studied abroad at the university level prior to matriculation, you may be eligible to seek pre-matriculation study abroad credit. CALS offers the unique opportunity to help students explore careers in public service, public policy, politics and government. Students work for a Member of the Assembly or a State Senator. These programs are offered during the spring semester in Albany, NY. This program offers a paid internship (stipend) in the New York State Legislature, earning a full semester of credits (12 internship credits plus 3 additional credits from the online internship course, for 15 credits in total). Students will enroll in ALS 3920 . As part of either the Senate or Assembly, students learn through direct experience and formal instruction how the New York State Legislature functions. The Capital Semester Internship Program offers students a type of real-world experience. For full program details go to: https://cals.cornell.edu/academics/advising/career/cals-experiential-programs/capital-semester-internship-program. The Cornell University–Ithaca College and Wells College Exchange Programs are reciprocal arrangement that allow matriculated full-time students, with prior approval and within stated stipulations, to cross-register at the other institution. A student must be enrolled in 12 academic credits at Cornell to remain in good academic standing. Ithaca College and Wells College credits will be treated as non-Cornell credits and reflected on the Cornell transcript as such. Students completing courses at Ithaca College for the Applied Exercise Science minor (www.human.cornell.edu/dns/academic/applied-exercise-minor.cfm) will be receiving Cornell credit for these courses (these courses will count towards the required 60 Cornell Credits, but the grades will not be factored into the Cornell GPA). This arrangement is available during the fall and spring semesters and is contingent upon space availability. A maximum of 12 credits may be taken through this program. For further information, contact the Cornell School of Continuing Education (online) or visit their office at B20 Day Hall (607-255-4987). Cornell in Washington is a fall or spring semester, or summer, program in the heart of Washington, D.C., our nation’s capital. This unique experience offers students in all colleges an opportunity to earn full academic credit for a semester or summer in Washington, D.C. Students take part in small seminars led by Cornell faculty, and gain work experience through an internship of their choosing. In the fall and spring semesters, students also have the chance to carry out individual research projects. Learn more about the Cornell in Washington Program. Students in the College of Agriculture and Life Sciences must register for ALS 4998 and cannot receive credit for the internship experience alone. SEA Semester students study the ocean from the perspectives of science, history, literature, and policy. Each program is 12 weeks in length and provides students with the opportunity to gather first-hand knowledge about the ocean, as well as practical seamanship skills. Courses are directly transferable and listed in Courses of Study under SEA. Students spend the first part of the semester studying at the SEA campus in the world-renowned oceanographic community of Woods Hole, Mass. The second part is spent on one of SEA’s two 134-foot sailing research vessels in either the Atlantic Ocean/Caribbean Sea or Pacific Ocean. Six unique SEA Semester programs are offered— focusing on a number of topics including island history and culture, climate change, and biodiversity. SEA Semester: Ocean Exploration is also offered as a 12-credit, eight-week summer program. Students of all majors are welcome and no prior sailing experience is necessary. For more information, contact Sea Education Association, P.O. Box 6, Woods Hole, MA 02543, (800) 552-3633 x 770, admissions@sea.edu, or visit www.sea.edu. Program costs are to be paid in place of regular Cornell tuition and fees. Instructors for SEA Semester include faculty of the Sea Education Association and visiting faculty from a number of colleges and universities. The Shoals Marine Laboratory, operated jointly by Cornell University and the University of New Hampshire, is a seasonal field station located on 95-acre Appledore Island, ME off the coast of Portsmouth, NH. SML provides a unique opportunity to study basic biology, marine biology, marine science and sustainability on an island noted for its biota, sustainability program, and place in New England history. Please refer to the Shoals Marine Laboratory (SML) section under Biological Sciences for a list of courses (BIOSM) offered. For more information, contact Shoals Marine Laboratory, 607-255-3717, email: shoals-lab@cornell.edu, or visit www.shoalsmarinelaboratory.org. Several departments in the college offer individual study, supervised internships, teaching assistantships and undergraduate research for academic credit. To ensure a fair and manageable system to deal with internships, undergraduate research and teaching assistantships experience the College of Agriculture and Life Sciences has set forth guidelines to serve as minimum requirements for student to receive credit. A Cornell CALS faculty member is directly involved in determining both the course content and in evaluating the student’s work. The experience should be purposeful, provide opportunities for reflection, present a continual challenge to the student, and incorporate active learning, with the student an active participant in all stages of the experience from planning to evaluation. A learning contract needs to be written between the Cornell CALS faculty member responsible for grading, the supervisor at the location (if applicable) and the student. This contract should state the conditions of the work, assignments, supervision, learning goals, number of credits and methods of evaluation of the work. Some departments may have their own form. Students should further develop the experience based on the college Experiential Learning Criteria. If away from campus during internship/undergraduate research, students must keep their Cornell CALS faculty member updated on the progress of the experience. Students have the option to receive payment or enroll in academic credit for undergraduate research, teaching assistantships and internships. Please review the policy here. Credit can only be awarded during the semester in which the coursework was completed. For example, a student beginning a special study during the summer can enroll in a special study (4960- internship ; 4970-Independent study, 4980-teaching assistant, or 4990-undergraduate research) course in the Fall Semester ONLY if a the majority of work is completed in the Fall Semester. If all work is completed in the summer/winter, the student must enroll through the School of Continuing Education and Summer Session. Credit will only be assigned or accepted in cases where a CALS Cornell faculty member is directly involved in determining both the content and in evaluating the student’s work. Students must keep the CALS faculty member responsible for grading updated on the progress of the special study. Individual departments may add more requirements (including additional forms to complete) to the special study based on specific needs such as time constraints, faculty workloads, and the relationship of the special study to the goals of the department. If you have special interests or would like to do research not treated in a regularly schedule course, consider doing individual study. Through individual study you can delve more deeply into a topic not covered in our regular curriculum. A faculty member, who becomes your instructor for the individualized study course, must approve the proposed student and agree to provide continuous supervisor. Students can enroll in a 4970-level course for the number of credits assigned through CALS Special Studies. The request can be submitted online through Chatter, click on Forms and Policies, or from the CALS Student Services Office (140 Roberts Hall). Several departments in the college offer supervised internships for academic credit. Internships may be granted for pay and/or credit with a limit of 3 credits maximum per internship. For internships not governed by an established internship course, the student can enroll in a 4960-level course for the number of credits assigned through CALS Special Studies. The request can be submitted online through Chatter, click on Forms and Policies, or from the CALS Student Services Office (140 Roberts Hall). Undergraduate teaching assistants make valuable contributions to CALS courses and to the students in those courses. The TAs may either accept pay for their work or enroll to receive academic credit. If receiving academic credit, students must enroll in a 4980-level course for the number of credits assigned through CALS Special Studies. The request can be submitted online through Chatter, click on Forms and Policies, or from the CALS Student Services Office (140 Roberts Hall). Opportunities can be explored by contacting individual faculty members or departmental offices. Off-campus research experiences are also available for pay or as internships. Upper-class students usually have the course background to engage in research, but freshmen and sophomores also may be equipped to do some types of research. Undergraduate Research: students can receive pay or credit. They can partition it so that they receive pay for part of the research and credit for the other as long as the work does not overlap. Undergraduate Teaching Assistant: students can receive either pay or credit, but not both. Internships: students may receive both pay and credit for the same internship experience.